March 23, 2016 By This post may contain affiliate links. Could these Fluffy Sheep Cupcakes be any cuter with their roly poly cupcake bodies covered in fluffy white frosting fur and a Peppermint Patty head? They are sweet, silky, and a little bit silly. 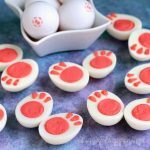 I’ve fallen in love with making sheep shaped treats this Easter season. It’s not unlike me to come up with an idea and run it in several different directions. I have to admit that I can be a bit obsessive, and sometimes I just can’t resist creating a series of treats using the same design concept. 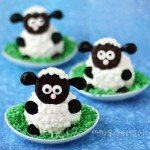 You’ve already seen the Oreo Lamb Lollipops and White Chocolate Woolly Lamb Bark that I made using a similar design to these cupcakes. 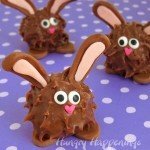 You’ve also seen a host of animal themed cupcakes that I’ve made using chocolate peanut butter cups for the animals’ heads. 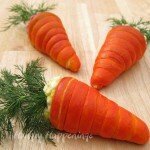 I combined both of those food art design concepts to make my latest creation. My sheep cupcakes look like big fluff balls, and I love that. 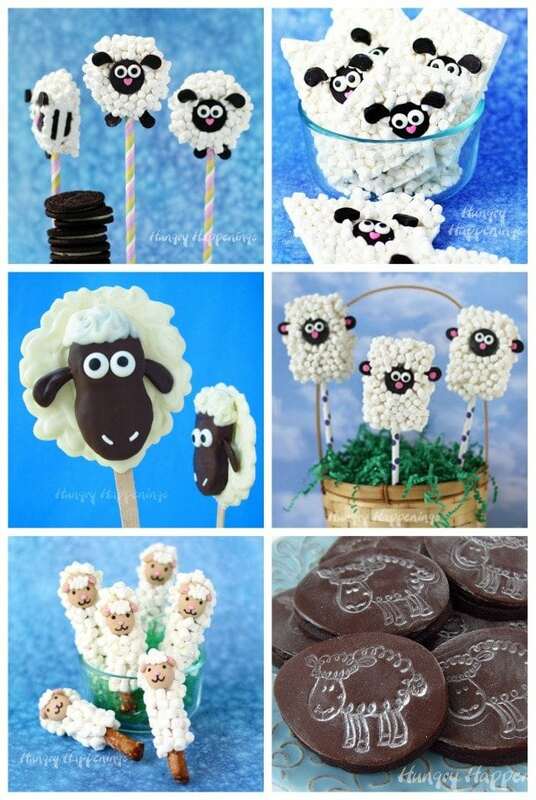 Like my other animal cupcakes, I wanted the sheep to be upright with a large round candy head. 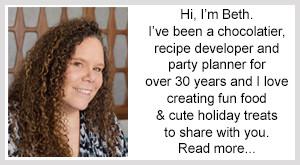 I chose to use Peppermint Patties decorated with candy eyes and pink sugar bead noses. The sheep have four black legs sticking out from their chubby bodies, two floppy ears attached to their candy heads with a tuft of fluffy frosting fur on top. 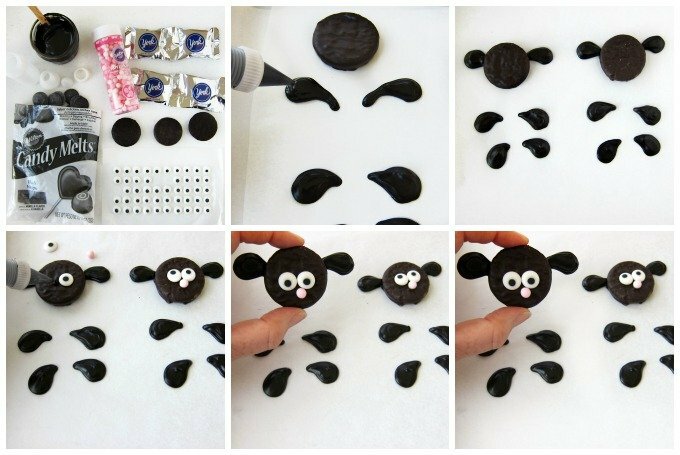 To make the chocolate sheep heads, ears, and legs, you’ll need to pipe melted black confectionery coating (candy melts) into tear drop shapes onto a parchment paper lined baking sheet. When you pipe the ears, make them just far apart enough that you can fit a Peppermint Patty over top of the tips. Pop the tray into the freezer and allow the candy coating to chill until set, about 3 minutes. Remove the tray and peel the candy off the parchment paper. Use a bit of black candy coating to attach two candy eyes and a pink candy bead nose to each Peppermint Patty. 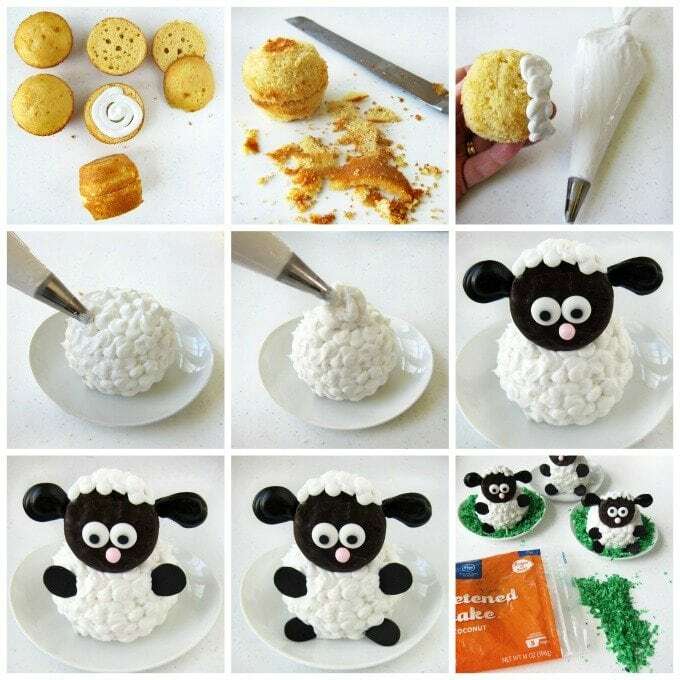 You’ll use two cupcakes to make each sheep. Cut off the domed tops on each cupcake and pipe white frosting on the cut side of one. Press two cupcakes together, then use a serrated knife to carve it into a ball. 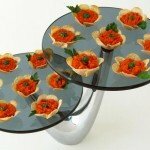 Now you can pipe or spread white frosting all over the round cake. I piped the frosting on to the cake using a large round pastry tip. I made it look fluffy by piping swirls and dots all over the cupcake. Once the entire round cake is frosted, pipe a tall mound on top and set one of the Peppermint Patty sheep in front of it. Then pipe some dots of frosting on the top of the chocolate head. 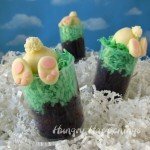 Insert four candy legs into each cupcake. 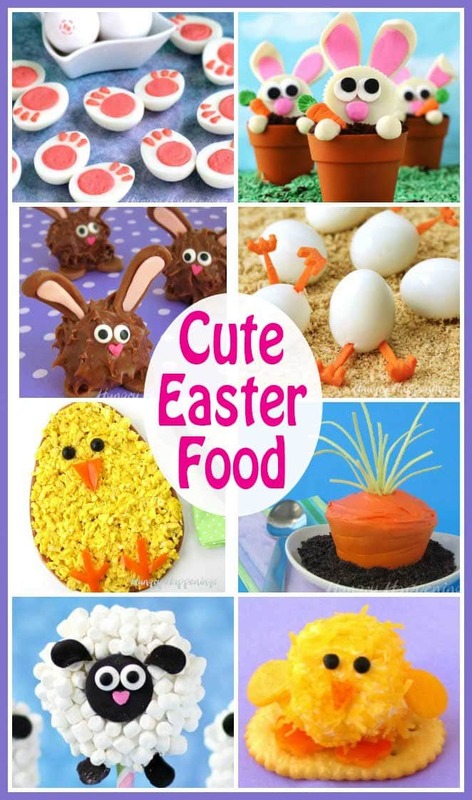 If you want, color some coconut using green food coloring and sprinkle some around the sheep. 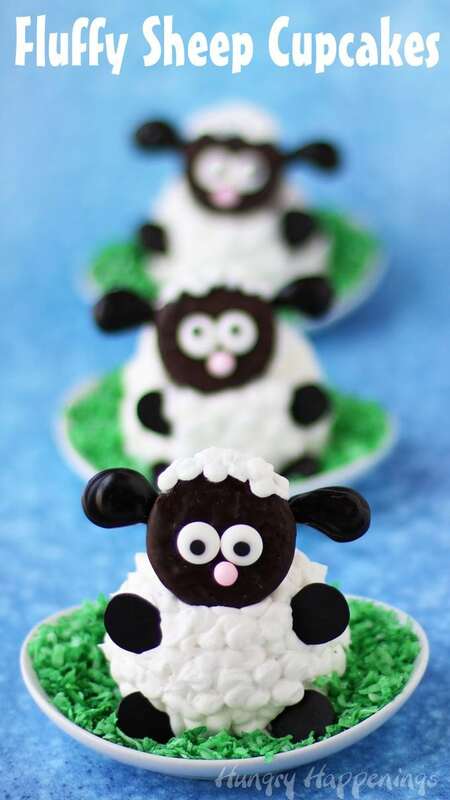 Adorably cute cupcakes decorated like sheep using Peppermint Patties. Unwrap Peppermint Patties and set on a parchment paper lined baking sheet. Using a Peppermint Patty as a guide, pipe two tear drop shaped ears out of the black candy coating then set the Patty on top, over the tips. Place pan in freezer for 3 minutes. 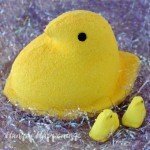 Remove and peel candies off the parchment paper. Use black candy coating to attach two candy eyes and one pink sugar pearl nose to each Peppermint Patty. Cut the domed tops off each cupcake. Pipe frosting on the cut top of half of the cupcakes. Turn another cupcake upside down on top of the frosted cupcake. Carve each stack of cupcakes into a ball. Pipe or spread frosting all over the cupcake, making it look woolly. Pipe an inch tall mound of frosting on top of the frosted cake. Set a Peppermint Patty sheep in front of the mound of frosting. Pipe some dots of frosting on top of the Peppermint Patty sheep heads. Insert 4 tear drop shaped legs into each lamb cupcake. If I were to count sheep these would definitely be the ones I’d want to see too. 🙂 Thanks!